Lo sponsor di questo challenge è Limited runs stamps ed io ho scelto Little Tree, che ho colorato con gli Spectrum Noir. Le carte sono di Docrafts ed il sentiment di Woodware Craft Collection. 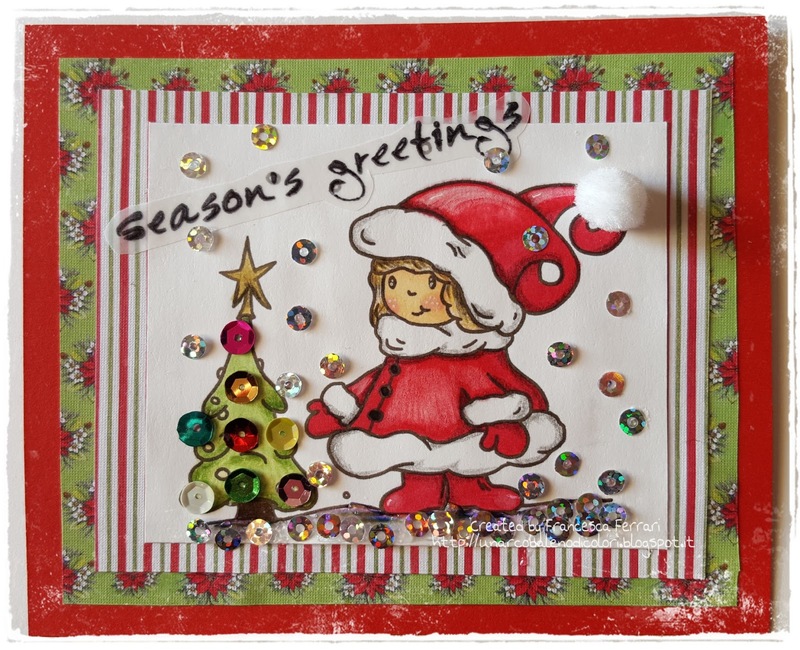 The sponsor for this challenge is Limited runs stamps and I chose Little Tree. I coloured it with my Spectrum Noir. Papers are from Docrafts and sentiments from Woodware Craft Collection. Per la decorazione ho usato tantissime paillettes colorate per l'albero ed argentate per la neve. 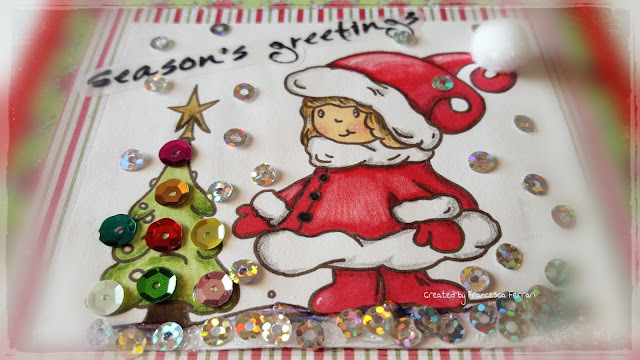 To decorate my card I used maaaaany sequins: coloured sequins for tree decorations and silver sequins for the snow. I love all the sequins you used. Great.